In my case (Acer Aspire 1810TZ) the alsa-hda-dkms_0.1_all.deb does not solve the problem. 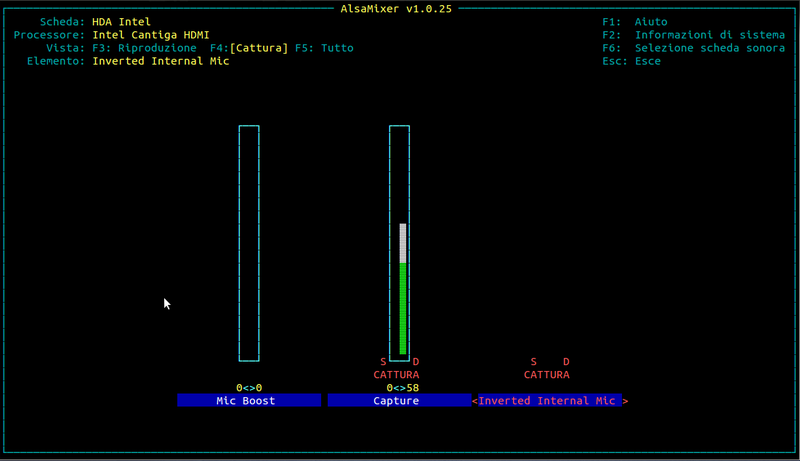 I can see the inverted internal mic in alsamixer, but I cannot edit it (see screenshot). I cannot see any microphone activity in the audio settings window (and in skype), unless I mute one channel with pavucontrol. However when I use gnome-sound-recorder I can register sounds out of the box, but this worked also without alsa-hda-dkms.